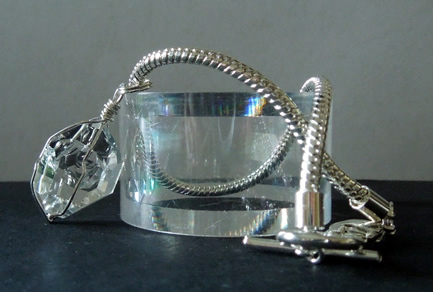 Notes: A large Herkimer Diamond dangles as a charm on this large, size 8, bracelet. 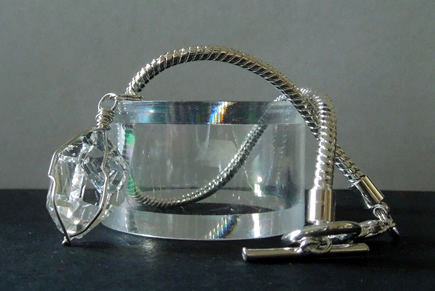 The natural crystal measures 22x15x10 mm / 20+ ct. It has an unusual tabby shape with clean facets and lines. Clarity is excellent. A well defined geometric key mark adds interest and authenticity. 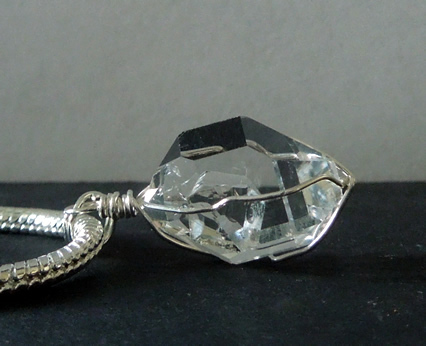 Wrapped in sterling silver, the Herkimer Diamond hangs from a silver snake style bracelet with toggle closure.